Very good. Made 6 mini tart shells. Found it easier to roll the dough between plastic wrap. Faster to roll out & release. Was expecting the shell to be hard as from local pastry shop. This is softer. Dough very forgiving — repairing tears as well as flipping one over when moved it to the cooling rack. That one stayed intact. A lot of work, but astonishingly perfect taste and texture - could easily pass for an Opéra cake from a top French pâtisserie. Make sure to read the actual instructions - the picture captions leave out essential information regarding divided ingredients. All the classic French pastries made accessible for the home cook, with 3,200 photographs. For every serious home baker, French pastry represents the ultimate achievement. But to master the techniques, a written recipe can take you only so far—what is equally important is to see a professional in action, to learn the nuances of rolling out dough for croissaints or caramelizing apples for a tarte tatin. For each of the 210 recipes here, there are photographs that lead the reader through every step of the instructions. 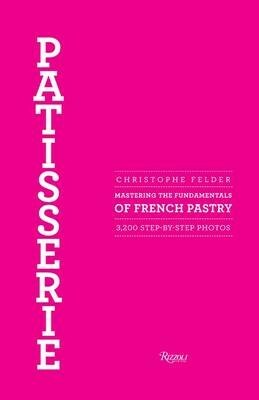 There has never been such a comprehensive primer on patisserie. The important base components—such as crème patisserie, pâte à choux, and chocolate ganache—are presented as stand-alone recipes. Once comfortable with these, the home baker can go on to tackle the famous and more complex creations—such as Éclairs, Saint-Honoré, Opéra—as well as feel empowered to explore new and original combinations. An entire chapter is devoted to decoration as well as sauces, syrups, and fillings. Whether used to develop skills or to refine techniques, to gain or simply broaden a repertoire, Patisserie dispels the mystery around classic French pastries, so that everyone can make them at home.